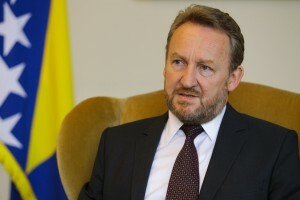 When speaking about the formation of the new FBiH government, the SDA leader Bakir Izetbegovic said that the main priority will be to reduce spending. “And in the first few months we will create measures that will show people in BiH that it can be better. Reducing unnecessary spending, reducing the luxury, reducing excessive salaries to a realistic measure, and reducing unnecessary consultants which we have a lot and who, in general, really don’t do anything other than living on the state’s expense, all of this should be downsized. So that the people can see that we are seriously going to find a way out of this situation” said Izetbegovic. However, there are no examples from the SDA officials to support this statement. In fact, before the government at the state level was even formed and before the Parliamentary Assembly of BiH started really working, four MPs of the House of Representatives filed a claim for compensation for separate life. Two among them were SDA members: Šemsudin Mehmedović and Amir Fazlic. 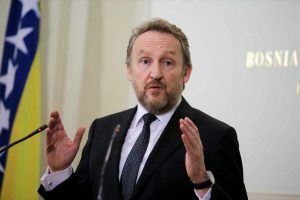 The salaries of state delegates are reaching up to 4,000 KM, and keeping that in mind it’s hard to justify the submission of such claims, especially by members of the party which, according to Izetbegovic’s statement, intended to “reduce spending and luxury”. Another SDA’s House of Representatives member, Zijad Jagodić, has filed for a so-called “white bread” after he was not re-elected, and his claim was accepted by the Joint Commission for Administrative Affairs of PABiH. For next 12, months he will be regularly receiving salary although not working in Parliament anymore. Jagodić’s legal right to this privilege is certainly undisputed, but if the SDA really intends to reduce “living on state’s expense”, it should be consistent in this intent, including requiring its members to refrain from such privileges. 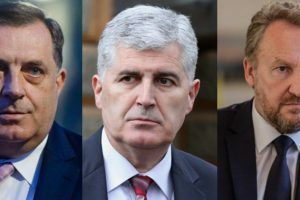 In addition, we need to mention the example of four ministers of FBiH, three of whom are from the SDA (Minister of Culture and Sport Salmir Kaplan, Minister of Energy, Mining and Industry Erdal Trhulj and Minister of Development, Entrepreneurship and Crafts Sanjin Halimovic) who, despite owning their own apartments in Sarajevo, had been regularly receiving reimbursements for accommodation during previous term. Izetbegovic’s statement is further compromised by the fact that SDA’s rush to put their people in several public companies’ steering boards immediately after the elections, has even jeopardized their new partnership with DF, who is to be their partner in governments on both entity and state level. Last but certainly not least, Izetbegovic’s own actions go against his proclaimed intent to ensure savings in public funds. Regarding the “unnecessary consultants” as he called them – Izetbegovic himself employs six in his cabinet. His official website presents the names offouradvisorsandonechief of staff, out of which three are in charge of thepolitical issues(Haris Basic); foreign policy(Elvir Čamdžić); and the Diaspora(Edin Ramic); whileoneadvisorhas the function of”advisor in the cabinet” (Fahrudin Dapo). The website, however, doesn’t mention the nameof HazimRancic, whosebiographystates that he has beenconsultant for themember of the PresidencyBakir Izetbegovic since2013, but it doesn’t specifywhat is his exact field of expertize. All advisors for the Presidency members have a basic salary of 2140.60 KM. Additionally, the audit report on the Presidency of Bosnia and Herzegovina for 2013 states that “without proper documentation and clearly stating the reason for bearing the cost, it cannot be confirmed that public resources have been spent rationally, properly and transparently”. Another problem pointed out in this report is the management of human resources, which should “relate to the strategic objectives of the institution”. The document states that “there should be amendments to the Law on Salaries and Allowances to cover issues concerning payroll of all categories of employees and appointed persons in the Presidency”. These amendments were not adopted. Instead, the Presidency adopted new Rules of Procedure and the new Rulebook on internal organization of the Secretariat, which allowed for hiring 18 more employees than planned. The report also mentions the high costs for use of official vehicles, which was as high as 455.572 KM. The auditors, in this regard, recommends greater control over these expenditures, as well as the rational use of official vehicles. 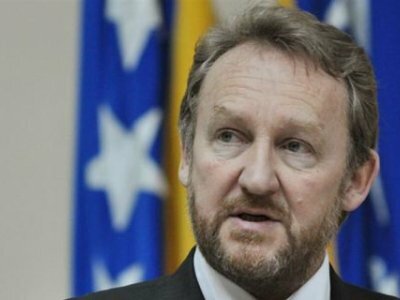 Taking the foregoing into account, we can conclude that Bakir Izetbegovic’s statement is inconsistent. He himself employs six advisers, two of which are not even assigned a specific area in which to “advise” the Presidency member. In addition, his term in the Presidency of BiH saw no attempts to cut down the administration costs. 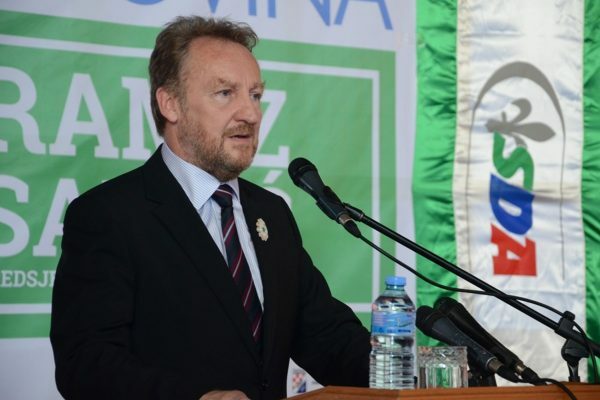 Of course, it remains to be seen whether and how Bakir Izetbegovic will keep his recently spoken word and whether the rest of the party will follow their leader in the new mandate. But so far, the actions of neither Izetbegovic himself, nor the rest of his party, are in line with this statement.